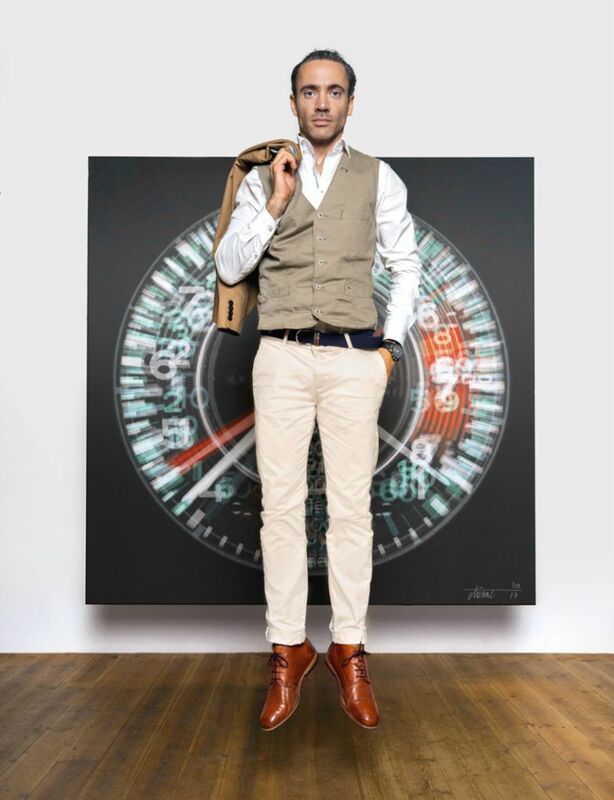 Frenchman Etienne Salomé is an automotive designer and artist. His work is about speed—and how to control it. Salomé’s leap, caught by the camera at its highest point, could be an allegory of his art. The sun makes only a brief appearance around noon. If at all. It’s bitterly cold at minus 20 degrees Celsius. The lake is covered by a layer of ice several meters thick. And that’s precisely why these twelve Porsche 911s are here in Swedish Lapland, near Arjeplog. The cars are warmed up and ready to go. Cautiously, almost hesitantly, their drivers maneuver them from the shore onto the ice for a special type of dance. They’ll be practicing full drifts. Etienne Salomé closes his eyes. He was lucky enough to experience that dance five years ago. When he recalls the experience, it seems like it happened only yesterday: accelerate, turn in, find the balance—and then glide through an elegant circle on the ice. Speed gives him a thrill. He was twelve when his father first took him to the 24 Hours of Le Mans. But it wasn’t until that winter weekend in Scandinavia in 2014 that he had the sublime sense in every fiber of his body of absolutely controlling acceleration, seducing the laws of physics, and choreographing the utterly impossible. When superimposed on one another, rev counters from seventy years of Porsche history embody the essence of sports-car design in a new light: breathtakingly dynamic. Just try to look away. Salomé calls his works “adrenaline art”; here, the focus is on the wait leading up to the start. Twenty-five times tension and anticipation—racing fever. Salomé was all the more impressed by the fact that race-car drivers practice extreme situations on ice. The weekend stuck with him, both personally and professionally. The Paris-born thirty-eight-year-old, who is head of interior design at Bugatti, proceeded to transform his experiences in Sweden into art. 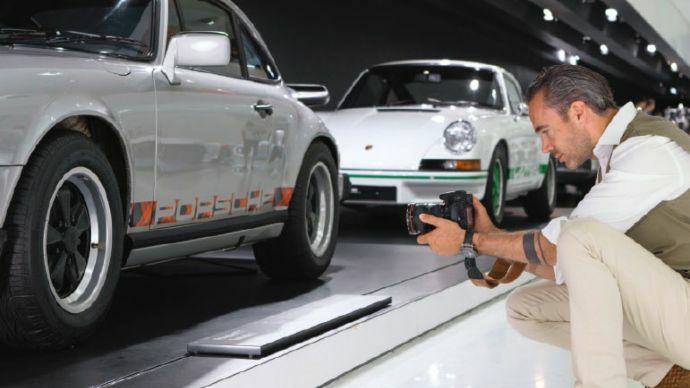 The photographs taken at the Porsche Museum are consolidated into a work of art in the studio. Salomé’s atelier is located in the second courtyard of a former factory building on Kastanienallee in Berlin. As we walk to the gray iron door of the studio, we pass street art of unknown provenance featuring Catwoman and Marilyn Monroe. The industrial courtyard is a standard stop on sightseeing tours in Berlin, which is why Salomé’s door has the following sign: “No shop. No gallery. Just an office.” That’s where he works—freely, independently, and without any commercial pressure. 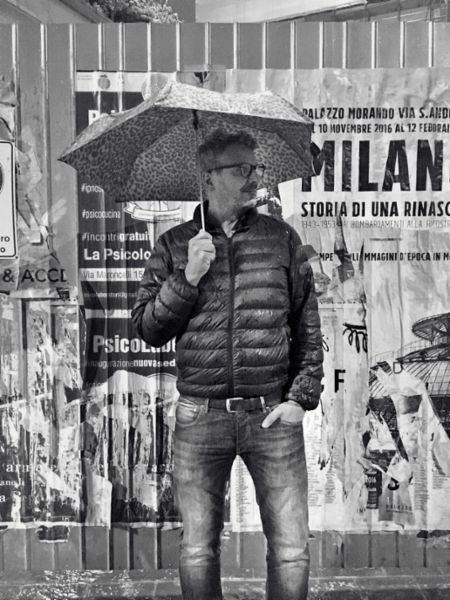 This way of life was already germinating at the back of his mind when he had to decide between art and design. He studied industrial design in Paris and later at the Royal College of Art in London. In his studio, several creations related to Porsche immediately catch the eye. One is Salomé’s interpretation of the Swedish adventure on ice. It consists of twenty-three phases of a drifting 911, set into a nearly complete circle and cast into an upright aluminum sculpture. Opposite the entrance hangs a modern piece of chronophotography—essentially, a technique used in the late nineteenth century to conjure movement from a series of snapshots. 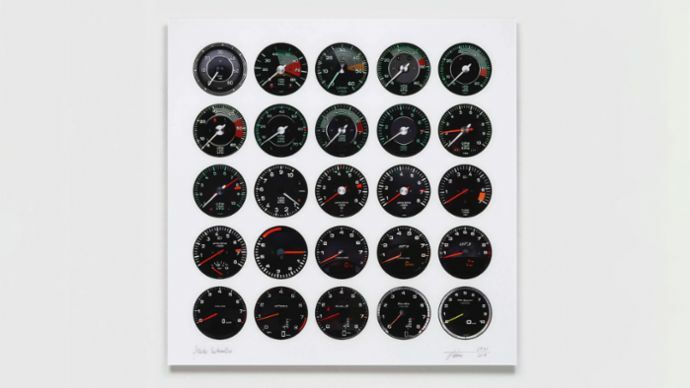 Salomé selected a subject for this piece that makes speed tangible: thirty-five different Porsche rev counter from seventy years of the company’s history. 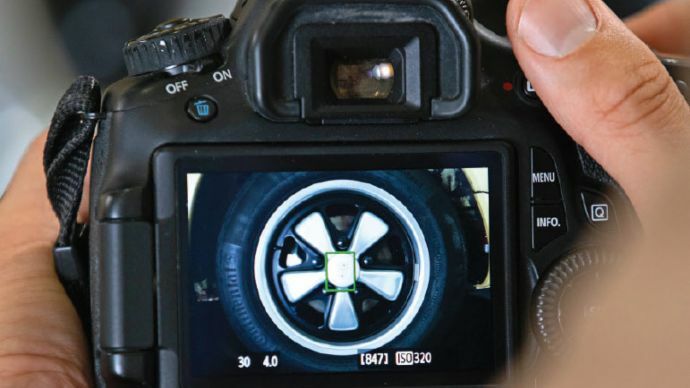 He photographed many of them, as well as the rims, in the Porsche Museum in Zuffenhausen. He then superimposed the images on a 2 × 2-meter surface so they merge into a single instrument, which provides a diffuse idea of the scales but more closely resembles an abstract painting. “Superpositioning crystallizes speed and time into a single instant,” he explains. 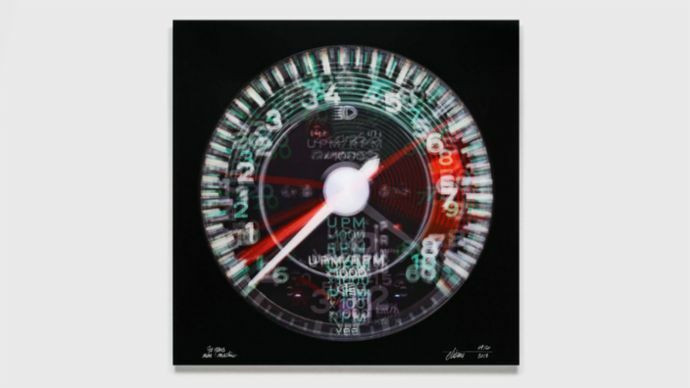 And his “adrenaline art,” as he calls it, is gaining recognition. Galerie Till Breckner in Düsseldorf recently decided to represent him. It also has contracts with Tony Cragg and Jeff Koons. 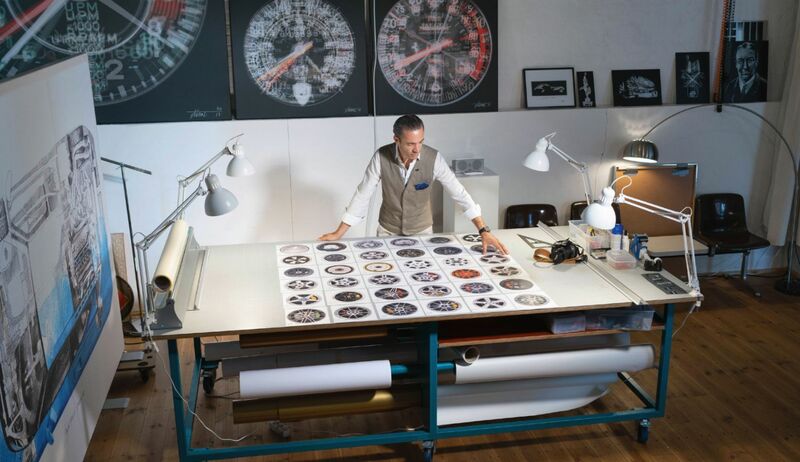 Etienne Salomé selected twenty-five Porsche rims to make a “multi-picture” for Christophorus. Salomé’s latest work also deals with Porsche. It’s another piece of chronophotography, for which he selected twenty-five different rims. 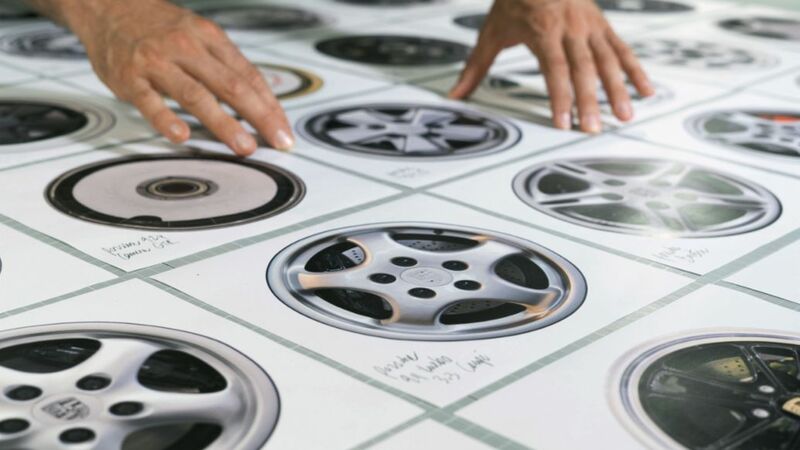 From the simple, flat wheel cover of the early 356 to the high-tech design of later models, the rims represent nearly seventy-five years of Porsche design history. The superimposed images generate a holographic effect as well. 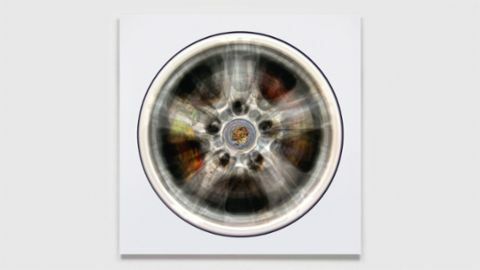 They create the impression of wheels in rapid motion, which is precisely the subject of Salomé’s work. But he won’t be moving on very quickly from the subject of Porsche. He plans to redesign the sculpture that represents the perfect drift with different materials and new colors, and thereby further establish himself on the art market. He wouldn’t be averse to gaining new inspiration for this project—ideally from a thrilling glide on the ice in Lapland.